How We Test Chainsaws - Which? Find out how Which? tests chainsaws to reveal which ones cut through logs quickly and cleanly, and are easy to use. In this video you'll find out what it takes for a chainsaw to earn our coveted Which? 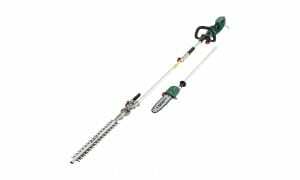 Best Buy recommendation, and how a Best Buy could make a real difference to your heavy pruning jobs. 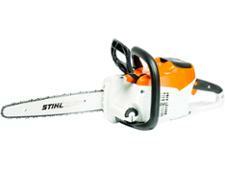 Some chainsaws are packed with high-spec features, but still don't start well and struggle to get through hard wood. Others are basic, but start first time, every time and cut through even the thickest logs easily. The only way to tell if a chainsaw is any good is to cut through some wood with it, which is why Which? does exactly that in our independent lab tests. Our recommended Best Buys take the risk out of choosing a new chainsaw. How well does the chainsaw cut through thick wood? How easy is it to prune branches with the chainsaw? How easy is the chainsaw to use? How easy is the chainsaw to maintain? Find out which chainsaws are a pleasure to use in our chainsaw reviews. How well does the chainsaw cut? To find out how well each chainsaw cuts our independent experts make a series of cuts with each machine through logs of different sizes, from a small, 5cm-diameter branch up to a 30cm-diameter log. They record the time it takes to make 10 cuts and rate how cleanly the cuts are left. To really put these chainsaws through their paces, we run them through a hard wood log, such as chestnut or oak, and a railway sleeper, timing how long it takes and rating how cleanly they cut. The best chainsaws will power through these obstacles with ease. Our tests start long before we switch the chainsaw on. We assess how easy each machine is to put together and we review the quality of the instructions. We rate how effectively the instructions cover essential maintenance. The best chainsaws are simple to hold and use for a range of cutting jobs, so we conduct a total of 21 different tests to see how easy it is to use each chainsaw. We assess each model while making a series of vertical cuts at waist height. We rate how easy it would be to use for chopping logs in a sawhorse. 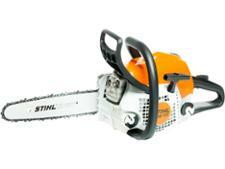 We rate how easy it would be to use between waist and knee height, for slicing through low-hanging branches. We assess each model making horizontal cuts, to rate how easy each machine is to use for cutting through the trunk of a shrub or small tree. We assess how simple it is to switch between horizontal and vertical cutting. And how well each chainsaw can be manoeuvred among branches, to rate how easy it is to use for heavy pruning. 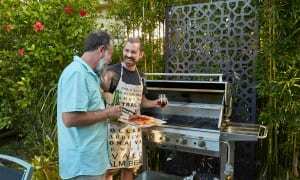 There’s no escaping the fact that chainsaws are noisy machines but, while some are tolerable, others are extremely loud and may annoy the neighbours. So we rate each chainsaw on how noisy it is and how irritating this is likely to be to others. How easy is it to maintain the chainsaw? Chainsaws require a fair amount of regular maintenance to keep them in tip-top condition, yet this is an easier job with some models than it is with others. Our expert testers assess how easy it is to top up the chain oil and tension the chain, and how simple the teeth are to sharpen. They also rate how detailed the teeth-sharpening instructions are and how easy they are to follow. 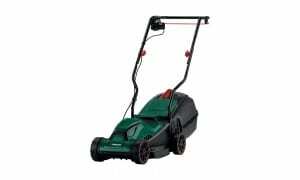 We also rate petrol chainsaws on how straightforward they are to fill with fuel and start from cold, and how easy cordless batteries are to remove and refit. Once the testing has been completed, we set to work evaluating all of the results to find the best chainsaws. We allocate 50% of the final score to convenience, which includes all of the results for clarity of instructions, general handling, ease of starting (petrol models only), ease of use, manoeuvrability and maintenance. Cutting performance is worth 40%, with slightly more emphasis on the results for larger logs and harder wood than for smaller logs and horizontal cutting. Finally, 10% of the final score is based on how noisy the machines are to use. Find out which models impressed us most in our full chainsaw reviews.